Most woodworkers I know have at least two cordless drills on hand, but that doesn't stop manufacturers from trying to get everything you need into one tool. 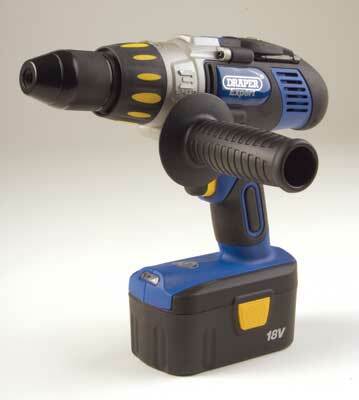 This latest drill from Draper Tools Ltd, one of the relaunched Expert range, offers close to the lot. The chuck runs true, and seems certain of rugged endurance, especially on those masonry jobs where the screw-fit auxiliary handle really comes into its own. 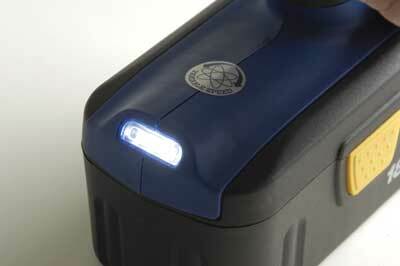 The battery is a touch on the heavy side, but nonetheless seems to balance the drill quite nicely, and the spare means you've always got one ready to go. The torque adjustment ring is easy yet positive, although the speed selector switch is a bit overdone and could be improved, unlike the direction switch which is right on the money for both left- and right handed users. If you're looking for one cordless drill to do everything you could do a lot worse than this, but if you've a lot of overhead work planned you might like to consider something a bit lighter. "If you are looking for one cordless drill to do everything you could do a lot worse than this"